As a parent of three school-aged boys, I expect my children to learn family values at home and most of everything else at school. Schools are where my children spend most of their time when they aren’t at home. My expectations for a safe and healthy home are essentially the same expectations I would hope for in a school. Similarly, just as I manage my home to use resources efficiently and keep costs down, I would expect the same to hold for a school. 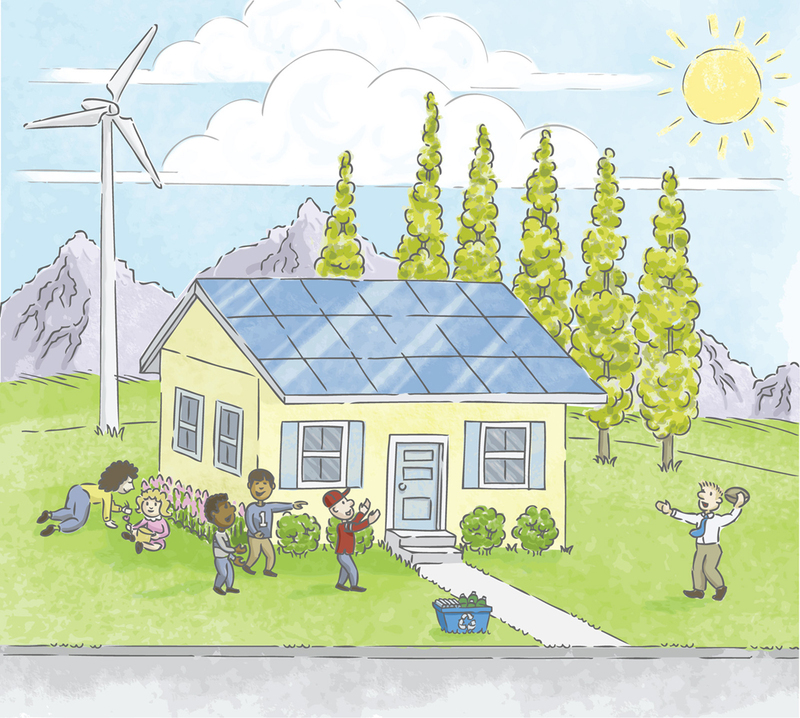 In the end, a green school is not much different than a healthy home: both should provide a safe, healthy, and productive learning environment. This past school year, 2010-2011, more than 42,000 students, teachers and administrators participated in green school initiatives in both private and public schools alike. Many projects included recycling programs, green service learning projects, environmental education, teacher professional development projects and efforts to make school buildings and facilities more sustainable. Many times, these projects go unnoticed; so to recognize such environmental stewardship, DEP’s Office of Environmental Education began the Florida Green School Awards program. At the end of every fiscal year, students, teachers and schools are encouraged to enter their environmental projects. This year we received 103 applications, which is the highest number of eligible applicants yet. After evaluating which projects demonstrated significant ways to learn green, save green, and protect green, we selected 16 finalists in five categories: students, classrooms, teachers, schools and school districts. The finalists selected have been invited to attend the Florida Green School Awards Ceremony and Banquet to be held on Nov. 10, 2011, in West Palm Beach, our annual event that promotes and rewards conservation efforts by students, teachers and school administrators. We appreciate the dedication and contribution of each participant, because through these green school initiatives, they have not only made schools healthy and productive places to learn, but they’ve generated $10.8 million in gross cost savings. So next time you send your child off to school or go to work in a school – a combination of close to 16 percent of Florida’s total population – think about the similarities between green schools and healthy homes and learn about opportunities to make both healthy and productive learning environments. Finalists for the 2011 Florida Green School Award program include Celeste Norup, Madeline Cowen and Larissa Weinstein, Monica Dyches, Deb Wagner’s class, Ray Cruze’s class, Peter Jordan’s class, Deborah Pate, Josh Clearman, Wendy Doromal, David Lawrence Jr. K-8 Center, Lawton Chiles Elementary School, Learning Gate Community School, Pine Jog Elementary School, Charlotte County School District, Duval County School District and Pinellas County School District.